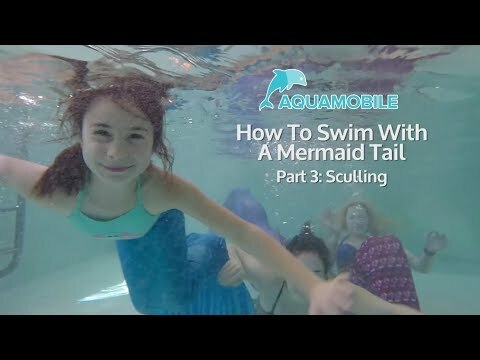 Hi everyone, in this video we will learn how to scull water while wearing a mermaid tail. To scull water keep your arms bent and your hands cupped. Then push the water out with your hands.